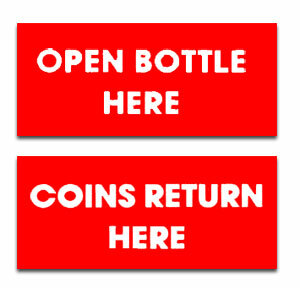 BOTTLE OPENER and COIN RETURN decals for large coin door machines. For large door machines like the V-56. C-51 and others. Die cut vinyl decal! White letters only.